The 50th Anniversary Conference’s location and date are set! The 50th Annual Washington State Search and Rescue Conference will be held at Central Washington University in Ellensburg and the Kittitas County Event center also in Ellensburg. Courses and classes will be offered at both locations during the scheduled conference days. Pre-conference courses – June 18th-21st and main conference will be June 22nd-24th. Our website is updated and ready for people to begin to register for classes and suggested locations for lodging is also ready. We are continuing to working on additional courses and classes that we may offer, so if you have suggestions let us know. Also if you are interested in being an instructor please contact us. We would like to stress that 2018 will be the 50th anniversary of the Washington SAR Conference. Our conference is the longest running continuous conference in the United States. We also draw people from all parts of the world to attend, South Africa, New Zealand, United Kingdom, Canada, Iceland, and other countries. The reason we are stressing this is we would like to have a slide show for the dinner Saturday evening showing Washington SAR over the years. So we would like ask that you send us pictures of your SAR groups over the past 50 years. 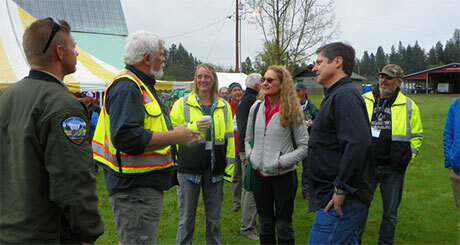 We also like to honor the people who pioneered SAR in Washington and are no longer with us. We are asking for pictures of these people so they can be honored through-out the conference. We are also planning to have a nice served meal for the dinner. We hope you will join us for a fun filled evening of good food and celebrating 50 years of SAR in Washington State.